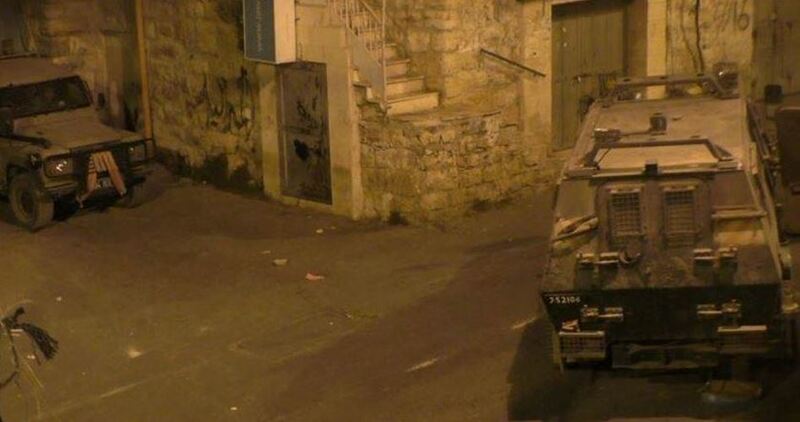 Israeli occupation forces stormed the home of Mohammed Badr on Wednesday morning, 28 June, in a violent pre-dawn raid in al-Khalil. Badr, 61, is a member of the Palestinian Legislative Council representing the Change and Reform Bloc. His famiy home was ransacked and personal belongings confiscated before he was taken away by occupation forces. He has previously been arrested on multiple occasions and spent approximately 11 years in Israeli prison, with much of that time in administrative detention, imprisonment without charge or trial. Most recently, he was arrested in October 2013 and spent a year and a half imprisoned without charge or trial. He has also served as a lecturer at al-Khalil University for 20 years in Islamic law. The number of imprisoned Palestinian parliamentarians had risen to 13 earlier in the year; recently, Mohammed Abu Teir of Jerusalem was released after serving a 17-month sentence in Israeli prison, and Samira Halaiqa was released after two months of imprisonment. Nine of the detained parliamentarians are imprisoned without charge or trial under administrative detention; the longest-held, Hassan Yousef of Ramallah, has been detained since October 2015 and his detention has been extended five times. The other parliamentarians, all from the Change and Reform bloc, held in administrative detention without charge or trial are: Mohammed al-Tal; Khaled Tafesh; Anwar Zboun; Ahmed Mubarak; Azzam Salhab; Mohammed Jamal Natsheh; Ahmad Attoun; and Ibrahim Dahbour. In addition, Ahmad Sa’adat, the General Secretary of the Popular Front for the Liberation of Palestine, has been imprisoned since 2006 by Israeli occupation forces since they invaded the Jericho prison where he was held by the Palestinian Authority under U.S. and British guard, is serving a 30-year sentence in Israeli prison. 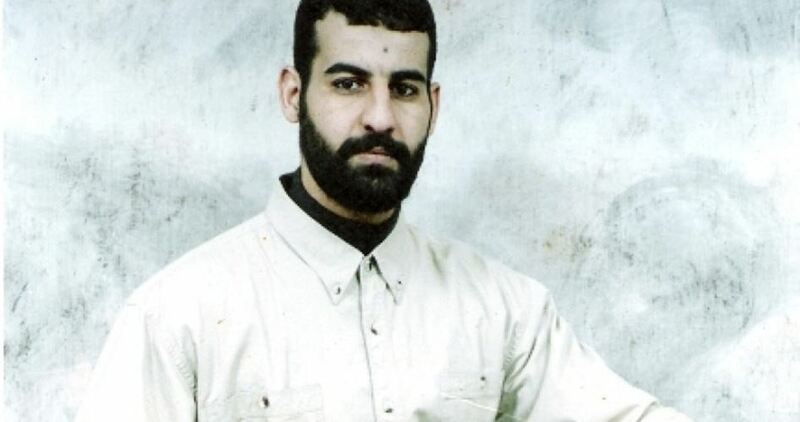 Fateh leader Marwan Barghouthi was sentenced to five life sentences after his seizure by occupation forces in 2002. Samidoun Palestinian Prisoner Solidarity Network demands the immediate release of all of the imprisoned Palestinian parliamentarians. Their imprisonment reflects an Israeli drive to criminalize and confiscate Palestinian leaders while denying any true political expression to people under occupation. A Palestinian family is being taken to court in an effort to force it to pay 10 million shekels ($2.86 million) compensation after four Israeli soldiers were killed in a car ramming attack earlier this year. Twenty-eight-year-old Fadi Qanbar from the occupied town of Jabal Al-Mukaber carried out a truck ramming attack on Israeli soldiers in January killing one army officer and three cadets and injuring a number of others in Jerusalem. His family, who have already had their house demolished by Israel, are now being taken to court to pay compensation to the deceased Israeli soldiers’ families, to the injured officers and to cover legal fees. Israeli Minister of the Interior, Arie Makhlouf Deri, had already ordered the family’s Jerusalem IDs be withdrawn. The Israeli army’s civil administration in the occupied West Bank has repeatedly violated the Oslo Accords in recent months by carrying out various work in areas supposedly under the control of the Palestinian Authority, Haaretz has reported. The newspaper said that the Israeli authorities have evacuated Palestinian facilities in so-called Area B in the West Bank, which falls under PA civilian control and Israeli military control. The Israeli authorities justify their permanent violations of the Oslo Accords by arguing that the Palestinians are not committed to applying the law to areas under PA control. However, according to Israeli expert on urban planning Alon Cohen-Lifshitz, while the civil administration works within the Palestinian areas using the justification of preserving the environment, it refrains from exercising its influence in the Israeli settlements and army camps in the West Bank. The Oslo Agreement signed in 1993 between the Palestine Liberation Organisation and Israel provided for the division of the West Bank into three areas: Area A is under full Palestinian control; Area B is under PA civilian control and Israeli security control; and Area C is under the full control of the Israeli government. The Israeli authorities released three Palestinian prisoners on Thursday after they had completed their sentences. Qusai Dari, Mahmud Jamal Ghaith and Mohammed Yusuf Burqan have served 13 months, three years and 22 months respectively. Dari, 17, is from the town of Issawiya, north-east of Jerusalem. He was arrested on 13 June last year and was convicted on several charges. He was released from Megiddo Prison. Ghaith, meanwhile, is a 22-year-old from Silwan who served his sentence in the Negev desert prison. As he headed for home, Israeli security forces entered Silwan to prevent young people from hanging out banners to welcome the prisoners. The third prisoner to be released, Mohammed Yusuf Burqan, 20, is from Jerusalem’s Al-Thawri neighbourhood. He was arrested on 10 April 2015 after being shot by an Israeli soldier near his home. He was seriously injured in the face and lost his left eye; his cheek bones were severely damaged. Burqan was convicted on several charges including throwing stones and Molotov cocktails and participating in several demonstrations in Jerusalem. As well as his 22 months in prison he had to pay a fine of 5,000 shekels. Burqan participated in the recent mass hunger strike by Palestinian prisoners and was subjected to alleged medical negligence by the prison authorities. GAZA CITY, Gaza Strip — The electricity crisis in the Gaza Strip intensified after Israel approved June 13 the Palestinian Authority’s request to gradually reduce the power supply to the enclave. As of June 19, the daily power supply dropped to less than four hours a day of electricity. The power crisis has taken its toll on all aspects of economic life in the Gaza Strip, including the agricultural sector, as farmers rely on electricity-powered wells for the irrigation of their crops. On June 21, Egypt supplied the Gaza Strip’s sole power plant with 1 million liters (264,000 gallons) of cheap diesel fuel, but power supply hours have yet to increase. Extended power outages are now threatening plant life and food security in the Gaza Strip, and some farmers are buying generators to keep their crops alive. They bear the high cost of fuel and are forced to increase the price of their products. He said, “I had to uproot some plants to save water for other plants, since I could not afford to run the generator given the high price of fuel.” He added that the irregular power supply led to the destruction of some of his plants since he was forced to irrigate them whenever power was available, even late at night, which affected the quality of some vegetable crops such as bell peppers and destroyed others. Mohammed Mustafa is facing a more difficult problem than Talib. His agricultural lands are in Hajar al-Deek border area while he lives in the center of Gaza City. He can only water his crops if the four power supply hours are during the day, since at night the border area becomes dangerous and deserted and he cannot risk his life to save his plants. Mustafa said that the continued crisis may lead to a subsequent reduction in the number of crops provided by the Gaza Strip and called for government support. He also expressed fear that the ministry would resort to imported crops to compensate for the shortage, which would be detrimental to Gaza farmers. The Ministry of Agriculture’s Policy and Planning Director Nabil Abu Shamala told Al-Monitor that lands cultivated with vegetables cover a surface area of about 20,000 acres, of which about 40% is located in the eastern part of the governorates of Rafah, Khan Yunis and al-Wusta. “The power outage has disrupted the irrigation process by affecting the water quantities allocated to irrigation, which dropped by 50-60%. These quantities are expected to further decrease by up to 80% with Israel reducing its supply to the enclave,” he said. He added that the eastern towns such as al-Fakhari and Abasan in Khan Yunis governorate are the most affected areas, where the estimated damage rate stands at 60%, or about 12 tons of destroyed crops per acre, while in Gaza City and the northern areas this rate is estimated at 40%, or about 8 tons per acre. Shamala noted that the cost of using generators to operate agricultural irrigation wells in the governorates of Rafah and Khan Yunis is $30 per hour, which exceeds farmers’ financial capacity. “The ongoing crisis will lead to the dehydration of agricultural crops, the spread of plant diseases and insects, the increase of the percentage of deformed fruits due to irregular irrigation, not to mention low yields,” he said, pointing out that the average price of 1 kilogram (2.2 pounds) of vegetables in the Gaza Strip is about $0.28. He added that the power crisis will affect the economy of the Gaza Strip and will lead to instability in food security and a decrease in purchasing power, as well as to the shrinking of exports and the increased inclination toward more imports to fill the shortage, which will affect domestic production and the entire economic situation. Shawa pointed out that the farmers’ only available option is the use of generators but that this will increase the production cost, which would lead consumers to cut their purchases and farmers to uproot a large number of crops that need water in order to save other crops that are more economically feasible. “Desertification will happen if the crisis perpetuates,” he said. He concluded that the Gaza Strip has always been reeling under a suffocating water crisis and that the PNGO seeks donor countries to provide farmers with generators to pump water, build small solar plants and lay down strategical water lines. The Israeli intelligence apparatus known as the Shin Bet extended the solitary confinement order against captive Ahmad Mughrabi, from Bethlehem, to 30 days for unreleased reasons. Palestinian Prisoner Society revealed on Thursday that its lawyer met with detainee Mughrabi in the isolation of Megiddo jail to which he was transferred from Rimon prison on June the first. Prisoner Mughrabi, 42, is serving an 18 life terms sentence in addition to 8 years. He served 9 years in solitary confinement which was ended after the hunger strike waged by prisoners in 2012. His family is deprived of the right to visit him. He has three children two of them were born after smuggling his sperms out of jail. He has not seen them since then except once. Furthermore, the soldiers invaded ‘Ejja village, southwest of the northern West Bank city of Jenin, and abducted one Palestinian. Also on Friday, the soldiers invaded Jenin city, and clashed with many Palestinians, before shooting two children, including one who suffered a life-threatening injury. The soldiers also abducted two Palestinians al-Fandaqumiya villager, and Kufur Ra’ey town, southwest of Jenin. Israeli soldiers invaded, earlier Friday, the northern West Bank city of Jenin, and clashed with many Palestinians, before shooting two children, including one who suffered a life-threatening injury. The soldiers also abducted two Palestinians near Jenin. Media sources in Jenin said dozens of soldiers invaded the city, and destroyed a monument commemorating Khaled Nazzal, who was assassinated by undercover Israeli soldiers along with another Palestinian identified as Adel Abu al-Reesh, on October 17, 2006. The attack led to clashes, at the western entrance of Jenin, between the soldiers and many local youths, who hurled stones at the invading armored vehicles, while the army fired live rounds, rubber-coated steel bullets and gas bombs. Medical sources in Jenin said the soldiers shot Ahmad Abdul-Hadi Saffouri, 14, with a live round in the chest, causing a life-threatening injury, and another child, identified as Mohammad Amin Mer’ey, with a live round in the thigh. Many Palestinians suffered the severe effects of teargas inhalation. In related news, the soldiers invaded al-Fandaqumiya villager, and Kufur Ra’ey town, southwest of Jenin, stormed and violently searched many homes, and abducted a police officer, identified as Sobhi Mahmoud Mas’oud, 35, and Hasan Saleh Ibrahim, 22, from Kufur Ra’ey. Palestinian women detainees in Damon prison are being subject to harsh sanctions, deprived of family visits and thrown in solitary confinement, reported prisoners and advocates. They are also being denied access to the “canteen” (prison store) and subjected to financial fines. Taghreed Jahshan, lawyer with the Women’s Organization for Political Prisoners, visited the women and reported that they have been subject to sanctions for one week, since 22 June, amid a media blackout. One of the most prominent detainees held under solitary confinement is Shireen Issawi, 39, a Palestinian lawyer serving a prison term of four years, accused of helping her client’s families support them financially in prison. She is also the sister of long-term hunger striker and re-arrested Palestinian releasee, Samer Issawi, and was the public spokesperson for his campaign during his strike. Dalal Abu Hawa, 39, serving a 1-year prison sentence, is also being held in solitary confinement. Both were transferred from Damon prison to the Jalameh/Ketziot interrogation center, reportedly due to the lack of isolation rooms in Damon prison. In addition, Haifa Abu Sbeih, former prisoner, reported that Sabah Faraoun, whose administrative detention – imprisonment without charge or trial – was just extended for another four months, is also being held in solitary confinement. Abu Sbeih told Wattan TV that the detainees were acing a number of sanctions, including fines and denial of family visits. Some detainees were fined 700, 500 and 200 shekels while others had electronic items confiscated. She noted that Ansam Shawahneh, 20, has been denied all family visits for over four months and will now face even longer periods of time. Shawahneh faced a military court on 20 June; she is accused of attempting to stab an Israeli occupation soldier. On 20 June, she was told in court that she would be sentenced to four to five years in prison, pending approval by the soldier in question. Her family members, speaking to Asra Media, raised extreme objection to the terms of the sentencing and the individual role of soldiers in determining the sentence of Palestinian political prisoners. Ataya Abu Aisha, 29, is the representative of the women detainees in Damon after Abu Sbeih was released. She is one of the detainees subjected to the harsh sanctions inside the prison. The repression has targeted the Palestinian women detainees following prisoners’ protests over denials of their rights within the prison. There are 23 women detainees in Damon prison out of 56 women Palestinian prisoners; most are held in either Damon or HaSharon prisons. Zeinab Ankoush, the mother of Adel Ankoush, 19, who was shot dead by Israeli occupation forces in Jerusalem along with Bara’a Saleh Atta and Osama Atta after they carried out a stabbing attack targeting armed occupation forces, has been imprisoned for one week since she was seized from the family home in Deir Abu Mashaal near Ramallah. 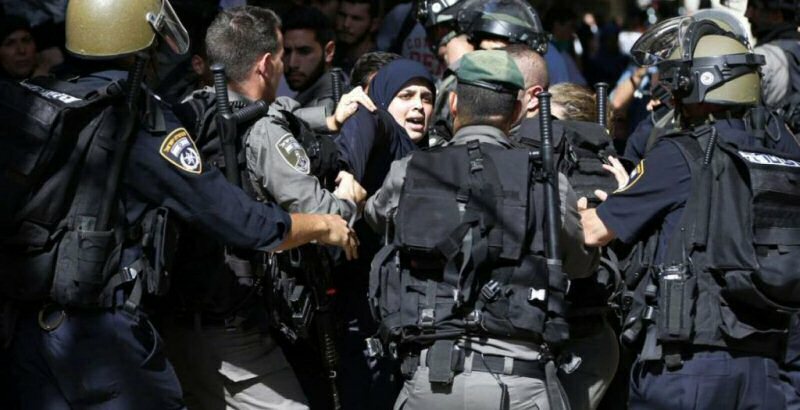 She will be brought before the Ofer military court today, 29 June, where she is accused of “incitement” for speaking about the death of her child. Meanwhile, her husband – Adel’s father, Hassan Ankoush, was seized by Israeli occupation forces in a series of pre-dawn raids on Thursday, 29 June, as the forces also invaded Osama Atta’s family home, ransacking its contents. At least five Palestinians were kidnapped by the Israeli occupation forces (IOF) from the West Bank at daybreak Friday. According to Hebrew-speaking sources, the abduction sweep targeted Palestinians from Kafr Ra’I, Terkoumia, al-Khalil, al-Fandkoumia, and Jenin. 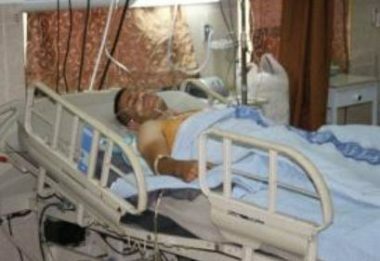 In Jenin, IOF soldiers opened fire at a Palestinian on claims that he fired gunshots at an Israeli patrol. 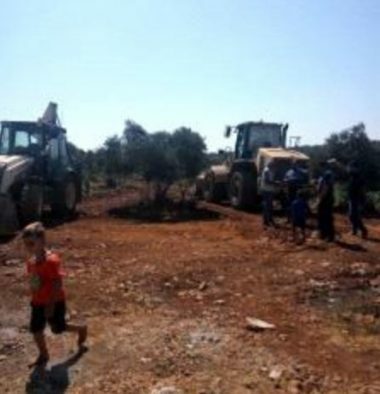 No injuries were reported and the Palestinian managed to withdraw safely from the scene.